Below is the first extract from an interview between Non Duality Magazine and Terry Coe, a traditional advaita vedantin. See full interview at Non Duality Magazine. NDM: What would you say is the difference between shunya and nirguna Brahman? Terry Coe: (Laughs) Yeah, they can look very similar. 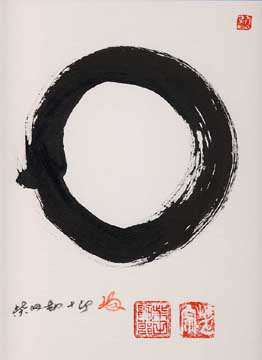 The word shunya means zero, emptiness, nothingness. But that brings up the whole issue of what you mean by ‘nothingness’. There is no absolute nothing-ness. Nothing-ness is absence. And absence always has to be absence of something! I can see that there isn’t an elephant in this room. There’s an absence in this room. Absence of what? Absence of an elephant. But complete absence, absence of everything means that there is nothing here at all. If you say that nothing exists in the world, there is nothing here, then I will ask you who is perceiving the nothingness in order to make that statement? In other words, there has to be something. You could say there is nothing else. But if I ask the person, “Do you exist?” that person can’t say, “I don’t exist." The very fact of making the statement confirms that you exist. That’s the difference between nirguna Brahman and shunya. Nirguna Brahman means Brahman without any attributes, unlimited by space or time. Nirguna Brahman is existence itself, ‘awareful presence’, if you will. Existence is awareness. And awareness-existence doesn’t have any limiting attributes. Existence can manifest as anything, like a chair or a table. Now here you could object and say that the table-ness or chair-ness is a limiting adjunct of existence, but is it? Because if I look closely at what the chair is, mentally ‘break up’ the chair, I see that what is there is wood. Wood is. If I break up the wood, fibre is. If I break up the fiber, molecule is. If I break up the molecule, particle is. That ‘is-ness’ can attach itself, so to speak, to all of these because is-ness never comes or goes. The form in which it manifests may change, but existence doesn’t have any attributes to limit it. That’s why nirguna Brahman means ‘without attributes’. Brahman doesn’t have any attributes, and therefore Brahman is all attributes. All of this is Brahman, in fact. And it is aware, because there is no difference between awareness and existence. But if you say shunya, if you say, “all of this is nothing,” there is an inherent contradiction in that. NDM: Ok. What about the word emptiness, like nama rupa, name and form? Terry Coe. Yes, we talk about nāma, which means name, and rūpa, which means form. All the attributes are really just name and form, they have no independent existence.  NDM: Lets say for example how the Buddhists would say this is all empty, as with a superimposition of name and form. Like what you were just saying. Terry Coe. Yeah, it’s very close. That’s why I say opposites look very much alike, it’s very, very close. In fact, we go along with the Buddhists a long way, until we come to that final fork in the road. The final fork in the road is that we say this is all a superimposition. It’s empirically true, but not intrinsically true. If I say ‘table’, a table is not intrinsically true. A table is a name and a form, yes, but it depends upon something else for its existence. What’s that something else? Wood, fibres, and so on. You can follow it all the way down, but if you ultimately say that this ‘something else’ is nothing, then how can there be perception of a name and form in the first place? NDM: OK. What I’m trying to get at is the use of the word nothing over emptiness. I know a lot of Buddhists use the word emptiness over nothing. I think nothing may be a kind of mistranslation. They mean emptiness of name and form. Terry Coe. If you say that the ultimate reality is emptiness of name and form, meaning it does not have name and form as intrinsic qualities, then that’s Vedanta. But when one says emptiness of name and form, there is still an existence that is empty of name and form. What is that thing that’s empty? Emptiness is an attribute, and hence requires something else. NDM: Well, ultimately, everything is going to be an attribute of awareness or consciousness. Or “is-ness”, so it’s all an attribute of that. Terry Coe: In that case there is no problem. That’s exactly what Vedanta says, namely that awareness-existence has no inherent qualities. All qualities are simply an appearance. Put that way, you could say that it is empty, ‘void’ if you will, of all qualities. Terry Coe: Of all attributes. NDM: What’s that other word they use, upādhi? NDM: There is no world. Terry Coe: No body and no world. Then you wake up, the mind becomes active, and boom! There’s a world. Mind is the upādhi. (Laughter). NDM: OK, so Gaudapada himself acknowledges this when he says: “There are some (shunyavadins) who uphold non-dualism (advayavada) and reject both the extreme views of being and non-being, of production and destruction and thus emphatically proclaim the doctrine of no-origination. We approve of the doctrine of no-origination proclaimed by them." Terry Coe: Correct. One can say ‘no-origination’ because there isn’t any real origination at all. This is what we mean when we use the term ‘mithyā’. It means that there’s not any creation in a real sense, it’s simply an appearance. You can’t categorically say the world isn’t there, because you see it. But you can’t say it is there, because if you try to count it separately from its material cause, you can’t. It’s like trying to count the pot separately from the clay. There’s nothing there except for clay. Terry Coe: Yes, dependent reality. In the clay pot example, all that’s there is clay. And that dependent reality doesn’t originate anywhere except in your mind. There’s no origination for it because it isn’t really there at all. But still, it appears. That’s why the Buddhists and Vedantins are very close. NDM: The mahayanas (laughs) accuse some Advaita Vedantins of being hidden Buddhists. Terry Coe: Well, it depends on which school of Buddhism, because there are so many different schools! NDM: They say the same thing. Terry Coe: If that is their position, then we are saying the same thing. 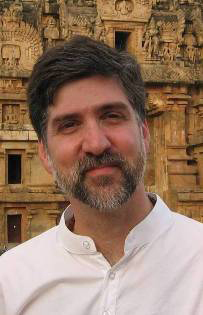 Terry Coe has been a student of Pujya Swami Dayananda since 1989, attending courses at Arsha Vidya Gurukulum in Saylorsburg, Rishikesh and Coimbatore. He studied Sanskrit at Harvard University and has taught workshops in Sanskrit phonetics at yoga studios in Massachusetts and Pennsylvania. He is currently conducting weekly classes at AVG on Katha Upanishad and a Bhagavad Gita Vichara Group as well as various outreach activities. In addition to Sanskrit, Terry speaks German and Russian, and is a professional German-to-English translator.